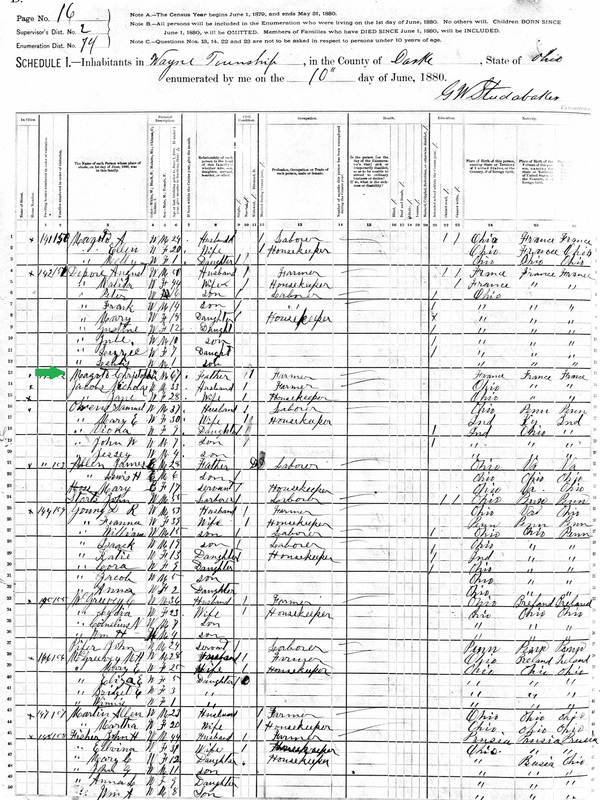 Hi There, I recently started my family tree and some ancestors came to America from Poland/Lithuania and a family member is Casimir or another record Kasimir and I was wondering what nationality they are as you have a family member with that name. My mother was Luella Magoto, born 1910 in Frenchtown, Ohio. Christopher Magoto was my gr-gr-grandfather. The trail is Luella-Joseph Peter-Julius-Christopher, and Catherine Humbert who came from Hannonville, France in 1852. I have been to Hannonville, France, to meet relatives 7-8 times, and the mayor for 20 years was Andre Humbert, who is now 80. I speak a little French. From various family sources, I was told that Christopher, a widower, was living with his daughter Jane Magoto Jacobs just across the Darke-Mercer Line when he died in 1892. I went to the location of that farm but a 1920s house has replaced the one in which Christopher must have died. I talked to the present owners. A Magoto Family history book was published in the 1980s. Have you seen it? I am a professional historian and researcher, and dabble in genealogy. Where do you live? Yes! Funny you mention the Magoto book. A couple of weeks after I wrote this blog post, I went to the Allen County Public Library in Ft. Wayne, which is the closest location to my home that has that book. And, yes, this Mercer Co death record is mentioned and the author believes that Chris was living with Jane. Even his funeral card said Cassella on it. I'm not a professional historian or genealogist. My husband and I are both meteorologists, but I've stayed home with our kids for the past 7 years, during which time I've been researching family trees to keep my brain from turning to mush. I am also now working with the Indiana Historical Society in Indianapolis, doing presentations and helping them develop a 'Genealogy for Kids' education series. So nice to 'meet' you, though! I think I know more of my husband's distant cousins that he does! I wrote some articles in the Magoto book when my name was Mary Ann Brown. I changed back to my maiden name after we divorced around 1991. I will look for your information on the Magoto and Humbert families. Marianne Doyle and I took a trip to Paris and Hannonville some 15 years ago. Last year from July-November, I went to Paris 5 times and Hanonville 2 times. Sometimes I take friends and relatives to see France. I have been to Paris 40 times on various research projects. It's nice to know you. Let's keep in touch. I won't have much access to email during the next 2 weeks because I will be going to Cuba for the 13th time. I should be back in December.